Sue Lawley's castaway is television presenter Loyd Grossman. 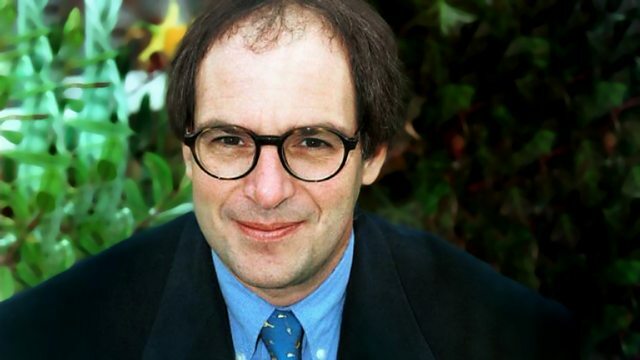 Sue Lawley's castaway this week is the television presenter Loyd Grossman. His career has allowed him to peer through the keyholes of the rich and famous and comment on their homes. He once described Tony Blackburn's house as like that of a maiden aunt in Eastbourne. It's a formula which has lasted 14 years. Although he was well into his 20s before he learnt to cook, some 20 million viewers watch him as he deliberates, cogitates and digests the culinary efforts of his would-be masterchefs. As a boy his dream was to be a rock star or a historian. In the end, he gave up both, forsaking his study of the gin-drinking experiences of 18th-century Londoners and forgoing his evenings spent dodging beer cans thrown on stage. He turned instead to journalism and Harpers & Queen. It was by accident that he was picked out to present for the new fledgling television station, TVAM, but by the time they realised their mistake his TV career was launched. 20 Of The Best: The Sons Of The Pioneers. Culinary castaways choose their favorite tracks.